The Krag-Jørgensen M1894 is a repeating bolt action rifle designed by the Norwegians Ole Herman Johannes Krag and Erik Jørgensen in the late 19th century. Variants were adopted as a standard arm by Denmark, the United States of America and Norway. About 300 were delivered to Boer forces of the South African Republic. A distinctive feature of the Krag-Jørgensen action was its magazine. While many other rifles of its era used an integral box magazine loaded by a charger or stripper clip, the magazine of the Krag-Jørgensen was integral with the receiver (the part of the rifle that houses the operating parts), featuring an opening on the right hand side with a hinged cover. Instead of a charger, single cartridges were inserted through the side opening, and were pushed up, around, and into the action by a spring follower. The design presented both advantages and disadvantages compared with a top-loading “box” magazine. A similar claw type clip would be made for the Krag that allowed the magazine to be loaded all at once, also known as the Krag “Speedloader magazine”. Normal loading was one cartridge at a time, and this could be done more easily with a Krag than a rifle with a “box” magazine. 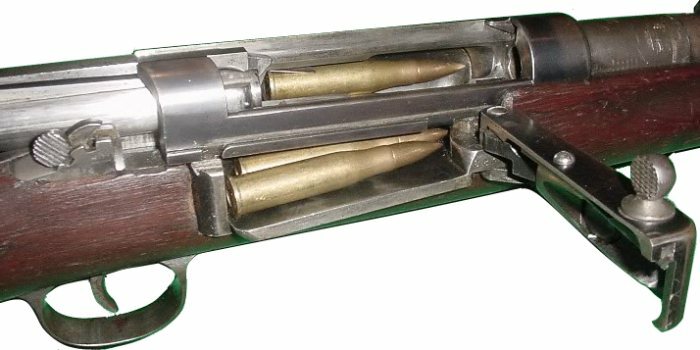 In fact, several cartridges can be dumped into the opened magazine of a Krag at once with no need for careful placement, and when shutting the magazine-door the cartridges are forced to line up correctly inside the magazine. The design was also easy to “top off”, and unlike most top-loading magazines, the Krag-Jørgensen’s magazine could be topped up without opening the rifle’s bolt. The Krag-Jørgensen is a popular rifle among collectors, and is valued by shooters for its smooth action. The Swedish-Norwegian Rifle Commission started its work in 1891. One of their first tasks was to find the best possible calibre for the new weapon. After extensive ballistic tests where different calibers were tested (8 mm, 7.5 mm, 7mm, 6.5mm etc. 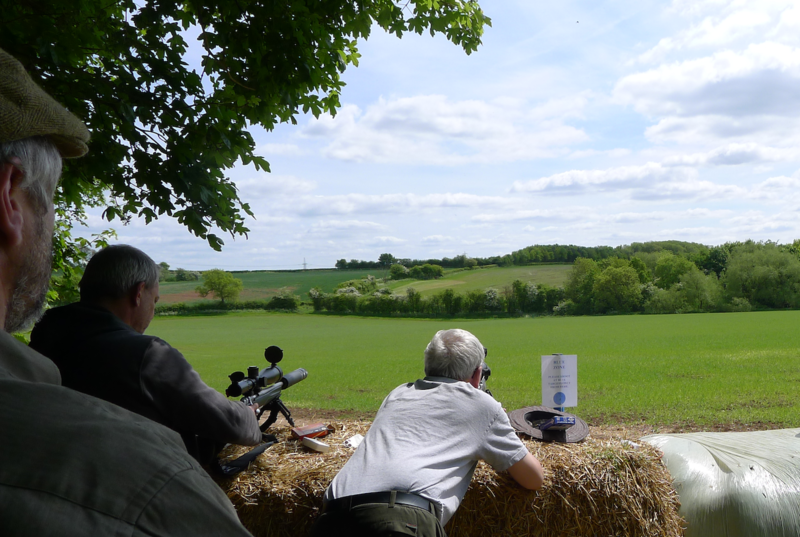 ), the optimal calibre was determined to be 6.5 mm (0.256 in). Following this decision, a joint Norwegian-Swedish commission was established in December 1893. This commission worked through a series of meetings to decide on the different measurements for the cartridge case. A rimless cartridge case of 55mm length was approved, and each possible measurement (diameter at base, diameter at neck, angle of case, angle of shoulder etc.) was decided upon. The corresponding dimensions of the cartridge chamber to be used in a future service rifle was also determined. The cartridge became what is later known as 6,5×55mm. The round of ammunition is also known as 6,5×55 Krag, 6.5×55 Scan, 6.5×55 Mauser, 6.5×55 Swedish and 6.5×55 Nor, but they all referred to the same cartridge. Some historians have assumed that there was a difference in cartridge blueprint measurements between Swedish and Norwegian 6.5×55 mm ammunition, but this may be unintentional. Due to different interpretations of the blueprint standard, i.e. the standards of manufacturing using maximum chamber in the Krag vs. minimum chamber in the Swedish Mauser, a small percentage of the ammunition produced in Norway proved to be slightly oversize when chambered in the Swedish Mauser action, i.e. requiring a push on the bolt handle to chamber in the Swedish arm. A rumour arose not long after the 6.5×55 mm cartridge was adopted that one could use Swedish ammunition in Norwegian rifles, but not Norwegian ammunition in Swedish rifles. Some even alleged that this incompatibility was deliberate, to give Norway the tactical advantage of using captured ammunition in a war, while denying the same advantage to the Swedes. However, after the rumour first surfaced in 1900, the issue was examined by the Swedish military. They declared the difference to be insignificant, and that both the Swedish and Norwegian ammunition was within the specified parameters laid down. It is worth noting that Sweden would later adopt a 6.5×55 mm rifle with a much stronger Mauser bolt action, the m/94 carbine in 1894 and the m/96 Rifle in 1896, both of which were proof-tested with loads generating significantly more pressure than those used to proof the Norwegian Krag action. About fifty Krag-Jørgensen rifles were produced in 1893 and issued to soldiers for field testing. The reports were good, and a few modifications were later incorporated into the design. Despite the fact that both the Mannlicher and Mauser submissions were significantly faster to reload than the Krag, the latter, having been designed in Norway, was selected.